Gene Dackonish is a founding member of Dackonish & Blake law firm and has practiced civil trial law in Grand Junction since 1988. Gene has over 25 years of experience representing a wide range of clients, including individuals, small businesses, insurance companies, and major national and international corporations. Gene has helped clients to favorably resolve disputes with tens of thousands to multi-millions of dollars at stake. 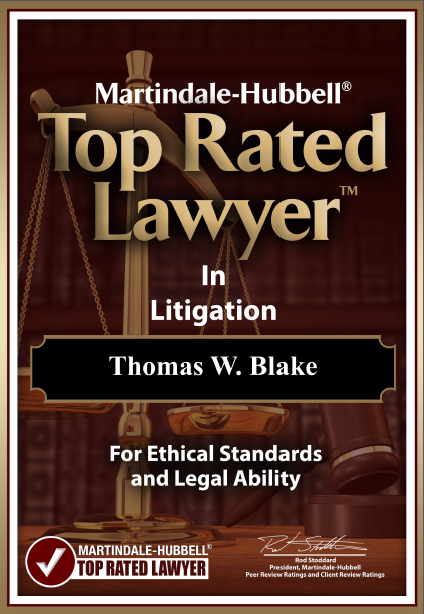 His broad areas of practice include business, contract and commercial litigation, real estate and land use litigation, eminent domain litigation, banking, finance, partnership, and foreclosure disputes, insurance disputes, governmental disputes, administrative body disputes, personal injury and wrongful death cases, and complex civil litigation. Since 2006, Gene has served as a mediator in over 700 cases through a separate business, Dispute Resolution Services. Gene has also served as an arbitrator over 25 times in real estate disputes, insurance disputes, health care disputes, and other business disputes. Gene’s experience as a mediator and arbitrator has afforded him knowledge and experience in an even broader range of civil litigation and dispute areas. Clients included numerous individuals, approximately 13 major national insurance companies, 3 national banks, a local hospital, a variety of local businesses, and approximately 10 national retail companies. Dispute values ranged from tens of thousands up to $5,000,000. Clients included numerous individuals and business entities, including builders, developers, service professionals, and entrepreneurs, along with approximately ten Fortune 500 companies, and a number of national retail companies and national financial and professional service corporations, a number of homeowners associations ranging from small to over 300 members, and governmental entities including towns, cities, and special districts. Litigated dispute values typically ranged from hundreds of thousands to $5,000,000 in dispute, including several cases with up to $40,000,000 at issue. Tom is a founding member of Dackonish & Blake law firm. He has over 30 years of courtroom experience in Grand Junction and Western Colorado. Mesa County District Attorney’s office for 6 ½ years, serving the last 2 ½ as chief deputy district attorney. In the District Attorney’s office, Tom conducted more than 25 jury trials, including serious felonies, and successfully argued an appeal before the Colorado Supreme Court. After the District Attorney’s office, Tom Blake began his civil litigation career, which has continued for the last 25+ years. During this period, he represented numerous injured persons as well as numerous insurance carriers and claim administrators in defending against workers compensation claims, auto accidents, premises liability claims, construction defect claims, and more. For the last 25 years, an emphasis of Tom’s legal work has been worker’s compensation. In early 1992, he became outside counsel for what was then Colorado Compensation Insurance Authority (Now Pinnacol Assurance), the largest worker’s compensation insurance carrier in the state. For about 7 years Tom handled essentially all of Pinnacol’s Grand Junction worker’s compensation hearings. Thereafter, he has continued to defend worker’s compensation claims for insurance carriers, claims administrators, self- insured employers, and uninsured employers. Tom has lectured at a Lorman Education continuing legal education class for attorneys on the topic of worker’s compensation. Over the last 25 years Tom has analyzed and resolved or litigated over 2000 worker’s compensation claims headed to hearing before an administrative law judge. At least 800 of these claims have proceeded to the completion of hearing and a decision by an administrative law judge. Years ago Tom also began representing injured persons in cases where there was an early determination of no conflict of interest. He has found satisfaction in helping truly injured persons navigate the system and obtain the compensation to which they are entitled under the law. Tom has argued cases in District Courts and County Courts in many of our Western Slope Counties. He has had over 800 worker’s compensation hearings before the Office of Administrative Courts in its three Western Slope hearing venues of Grand Junction, Glenwood Springs, and Durango. He has successfully prosecuted and defended appeals to the Industrial Claims Appeal Office and the Colorado Court of Appeals. Tom has successfully represented some of his permanently and totally disabled worker’s compensation clients in hearings before Social Security Administrative law judges to obtain Social Security disability benefits. In addition to his worker’s compensation, personal injury, and insurance defense work, Tom has defended or prosecuted a number of other causes of action, including but not limited to the following: construction defects; construction disputes; real estate easement claims; real estate partition actions; homeowner’s association lien judicial foreclosure actions; mechanic’s lien foreclosure actions; worker’s compensation insurance subrogation claims against negligent third parties; collections; evictions; defense of dental malpractice claims; defense of legal malpractice; and representation of professionals before the Colorado Department of Regulatory Agencies. In 2013, Tom represented the Telluride Ski Resort in a 9 day trial to the Court in San Miguel County in defense of easement and R.S. 2477 federal public road claims. Plaintiff Gold Hill Development Corporation was seeking a road and/or easement through the ski resort. The trial court ruled in favor of Tom’s client, the ski resort, and denied the easement and public road claims of GHDC. Outside of work, Tom enjoys his family and outdoor pursuits including hiking, biking, skiing, camping, and fishing. Tom has hiked/climbed all of Colorado’s fourteeners at least twice, including January ascents of Mt. Elbert and Mt. Sneffels and a June ascent of the Diamond on the East Face of Longs Peak.